* Highest finishing qualifying angler wearing the Bass Pro Shops-Cabela’s logo on their jersey will win a $250 Cabela’s gift card. * Highest finishing qualifying angler wearing the Bass Pro Shops-Cabela’s logo on their jersey will win a $250 Bass Pro Shops Gift Card. 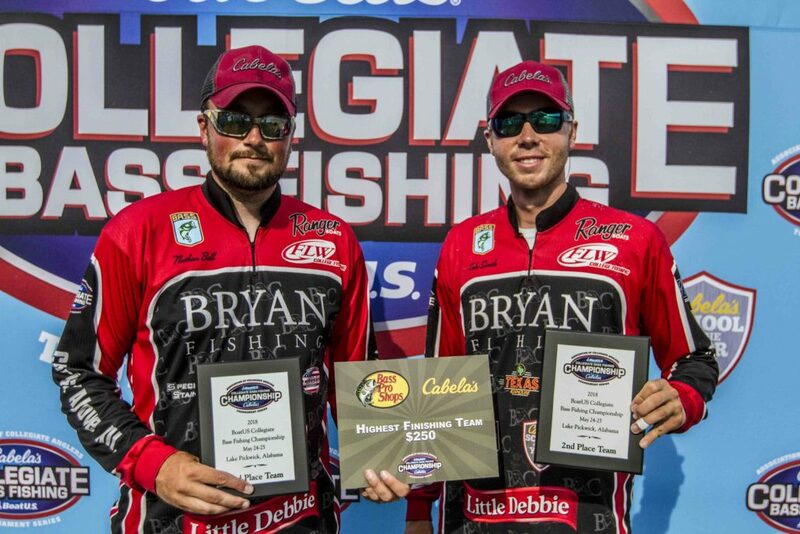 If BOTH team members from the winning team have the Bass Pro Shops-Cabela’s logo on their jerseys, the team will win $1,000 Bass Pro Shops Gift Card. If only one team member has the Bass Pro Shops-Cabela’s logo on his/her jersey, the team will win $250 Bass Pro Shops Gift Card. If the winning team does not qualify for this contingency prize (i.e., neither team member has the Bass Pro Shops-Cabela’s logo on his/her jersey), then the highest finishing team with at least one team member wearing the Bass Pro Shops-Cabela’s logo on their jersey will win $250 Bass Pro Shops Gift Card. If BOTH team members from the winning team have the Bass Pro Shops-Cabela’s logo on their jerseys, the team will win $500 Bass Pro Shops Gift Card. 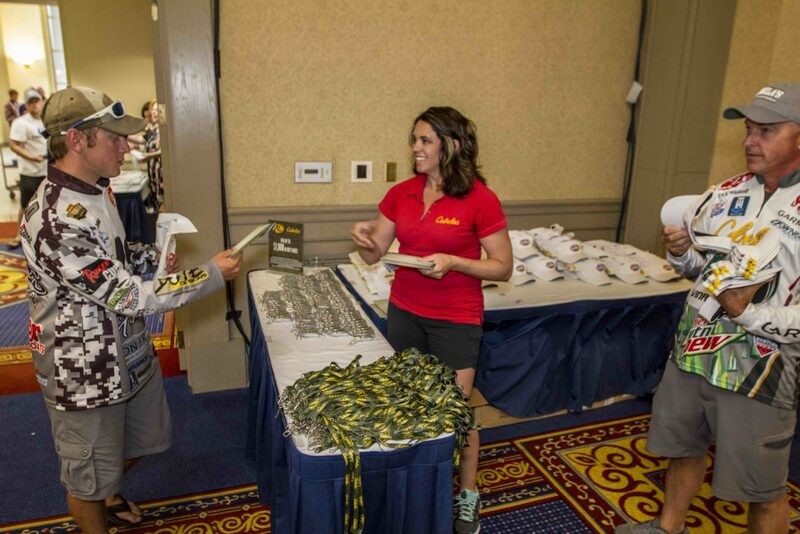 To qualify, jersey with Bass Pro Shops-Cabela’s logo must be worn throughout the tournament, including weigh-in. Every angler simply competing in the 2019 Championship will receive a $25.00 Bass Pro Shops Gift Card at registration. 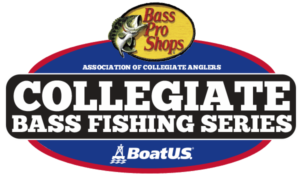 In addition to these prizes, numerous other Bass Pro Shops Gift Card will be awarded at the ACA AFTCO Collegiate Bass Open and will be included in the prizes awarded in the Bass Pro Shops School of Year presented by Abu Garcia program.